DESCRIPTION: Pterosaurs were the first flying vertebrates and ruled the skies of the Mesozoic era. These flying arcosaurs appeared in the Triassic period and evolved during the Jurassic and Cretacic periods to highly-adapted forms. 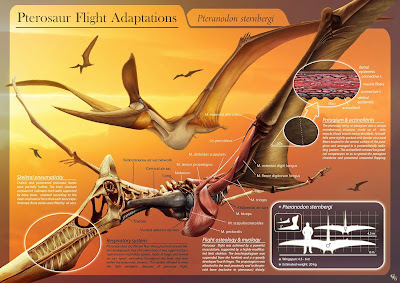 This infographic shows some of the most remarkable adaptations of pterosaur anatomy and physiology, including the anatomy of the wing or the structure and histology of the patagium (the pterosaur wing membrane), among others, depicted in Pteranodon, one of the most well-known groups of cretacean pterosaurs and an outstanding example of the degree of specialization acquired by pterosaurs. Bennett, S. Christopher. 2000. "Pterosaur Flight: The Role of Actinofibrils in Wing Function." Historical Biology 14 (4): 255–84. Claessens, Leon P A M, Patrick M O'Connor, and David M Unwin. 2009. "Respiratory Evolution Facilitated the Origin of Pterosaur Flight and Aerial Gigantism." 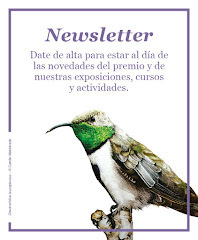 PloS One 4 (2): e4497.